Mitch Landrieu’s new book, a vanity publication, displays how dishonest the man is when it comes to race. Mitch said during his highly controversial efforts to remove historic monuments, that New Orleans needed to have an open discussion on race. But even through 240 pages of the book subtitled “A White Southerner Confronts History,” Mitch only lightly touches on his ancestry which includes mixed black and white genetics. He mostly frames his heritage as accusations made by others, and Mitch never discloses his own family’s history. What follows is a faithful narrative of the Landrieu family history. The slaves, slave owners, and the shameful cover-up of their African ancestry. 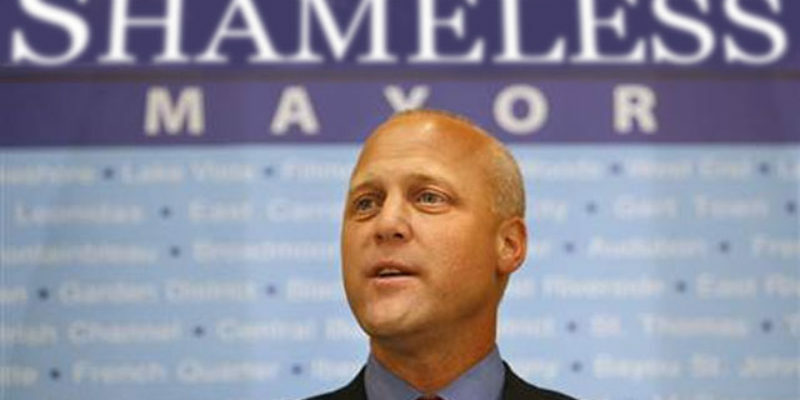 This piece explains the genealogical and historical background of Mitch Landrieu. It may be tough to follow, but it’s all here. Writing about race does not make one racist. Changing from one race to another and trying to keep black relatives as skeletons in the closet, however, are racially charged actions. The journey starts in St. Louis #3 Cemetery. The Landrieu tomb that contains Moon’s father Victor Firmin Landrieu also holds Moon’s grandmother Ciryntha Mackie Landrieu. Going back to the beginning, William Clarence Mackie was a farmer. The name is spelled both Mackey and Mackie. He moved to Lawrence County, Mississippi, from Georgia. No records indicate he ever married, but W.C. Mackie had a child with his female slave Lurena (Luraney or Lourania, various spellings exist). Their daughter was named Harriet. At the time of his death in 1855, William C. Mackie owned five slaves, including Luraney and Harriet and three others named Jim, Tom, and Pinckney with a combined estimated value of $3,100. The Mackie estate contained no will and his property was sold to pay off his debt. That included the sale of the five slaves, which sold for a combined $4,086. Dr. Thomas Leonard of Bay St. Louis purchased Luraney and Harriet Mackie in 1856. The 1880 Census indicates Luraney living in Bay St. Louis with her daughter Harriet and Harriet’s four children. One son is named William Clarence Mackie, after Harriet’s master and father. Naming offspring for the child’s grandfather disrupts the liberal perspective of slave mistreatment. All six in the Mackie Bay St. Louis household are listed as Mulatto in 1880. The 1880 Census also lists a daughter of Harriet’s as Serinthy Mackie. Her name can be found spelled Cerentha or Ciryntha, as it is spelled on the Landrieu tomb. Ciryntha was educated in the Bay at a school set up for freed blacks after the War Between The States. The Mackie women converted to Catholicism and were members of Our Lady of the Gulf church. It should be noted that patriarch William C. Mackie’s brother John Mackie fought for the Confederacy in the Mississippi Infantry. Deo Vindice, Mitch! During the same time Mackie’s slaves worked his small, Mississippi farm, an immigrant named Geoffroy Stanislaus Landrieu arrived in America in 1848 with a 2-year-old son. After a quick stop in New Orleans, they continued into Mississippi and settled in the town of Bay St. Louis. While both families were living in the small coastal town, Geoffroy’s son Victor Firmin Landrieu met Ciryntha Mackie and began a relationship. The two first claimed to have married around 1886, based on the 14 years married provided in the 1900 Census. In 1886, Victor was 40 years old and Ciryntha was 16 years old. However, online church records claim Victor and Ciryntha were married in 1897, with no witnesses, and this marriage record was first recorded in 1938. Even if the second date of 1897 is accurate, they had lots of children, with four born between 1886 and 1892, including Joseph Landrieu. Records indicate Joseph was first baptized as an unnamed Mackie in 1893 then baptized as a Landrieu in 1895, which means Mitch’s grandfather was illegitimate. The 1900 Census listed Ciryntha and Victor Landrieu living in Bay St. Louis, and all family members are noted under the “Color or race” column as “B” for Black. Ciryntha’s sister Luraney Mackey, named for her grandmother, lived with the Landrieu’s. Luraney was also listed as black. The Landrieu family moved from Bay St. Louis to New Orleans between 1900 and 1910. The 1910 Census lists the entire Landrieu family as “W” for white under “Color or race.” Ciryntha’s sister Luraney was then listed in 1910 as Louise Mackey and her race noted as white. 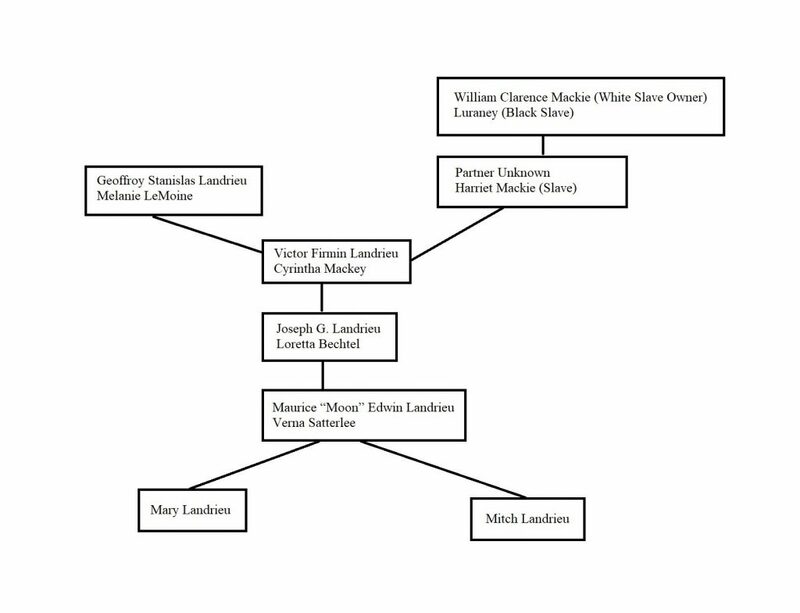 This information shows the Landrieu family moved from Mississippi to Louisiana, and changed their race in their new location. When the Landrieu family settled in New Orleans, Ciryntha’s background and racially-mixed heritage allowed her to pass, as in passe blanc, the Creole phrase for people of mixed ancestry who “pass” as white. Meanwhile, back in Mississippi, Ciryntha’s brother William Clarence Mackie and Ciryntha’s mother Harriet still listed themselves as black in the 1910 Census. Victor Landrieu passed away in 1928. Ciryntha lived with her children and grandchildren until she died in 1946. As the Landrieu family entered politics and rose into the power rankings in New Orleans, rumors about Moon’s black grandmother Ciryntha circulated town. Neighbors saw a rising white politician who never mentioned publicly about his apparent mixed race ancestry. In clearer words, the Landrieu’s have always known their history, but kept it hidden in order to establish themselves in white New Orleans. Moon Landrieu never could have won public office in the 1960’s had anyone known the truth. They concealed it for their own political gains. The Landrieu’s have had family living off New Orleans and Louisiana taxpayers since the 1960’s. The Landrieu family has always tried to keep it a secret, and as time passed, the suppression turned into more of a mystery. The year 1910 was a tough time to be black, no question about that. But it’s the attempt decades and even a century later to conceal their ancestry that makes race an issue for the Landrieu family. Addressing it would be normal. It would show the Landrieu family feels both races are equal. But they have not. Their actions support the racist concept that the black race is inferior to the white race. It is white supremacy. In his new book, Mitch makes the race topic one of accusations as if it lacked factual support. Any mention of mixed race comes with counter claims of that person being a racist. Even though this undeniable history was supported by The Hayride last year, Mitch pretends it does not exist. Melodramatic Mitch’s comments are an attempt to defer or, at the least, downplay the topic, to change the subject. He acts as if this history was entirely unknown. The booklet pictured below was written for his great grandmother. As noted previously, her name has various spellings, but it is the same lady. 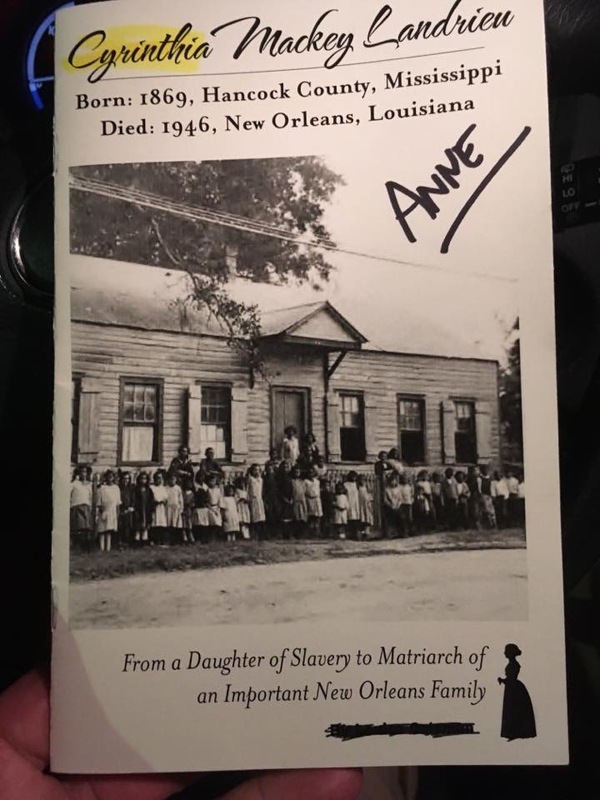 The booklet about Cyrinthia Mackey Landrieu says, “From a Daughter of Slavery to Matriarch of an Important New Orleans Family.” The election success of the family cannot be denied, but their integrity certainly should be challenged. The same man who worked so hard to erase and alter the past of a great, historic city comes from a family who practices similar manipulative measures with their own history. Mitch Landrieu wrote a book grandstanding about race and “confronting history.” So here is the history Mitch is afraid to confront: He is descended from a slave owner and a slave mistress. His family changed their official United States Census record of race from black to white. And Mitch wants to wax philosophical on race relations, but avoids mentioning these things in his book. Mitch Landrieu has no credibility on the topic of race. Next Article Should We Talk About The Big Baby Davis Dindu Nuffin’ Video?